Tomorrow (June 1) is the start of heartworm prevention season here in Ontario – is your dog protected? 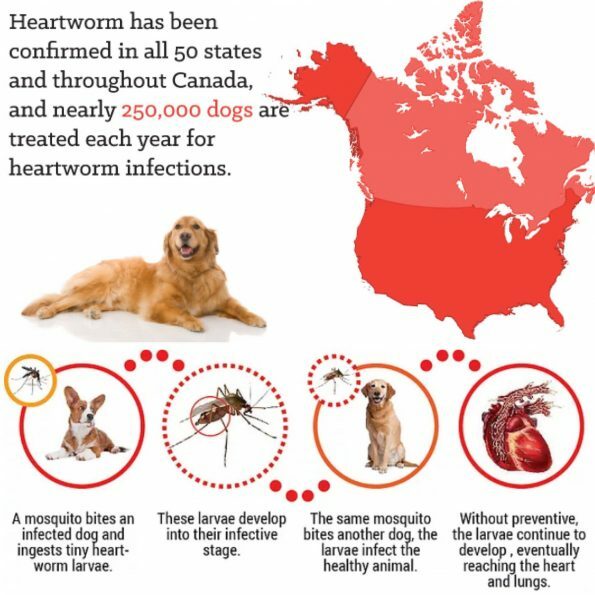 We’re lucky that heartworm is rarer here than in the US, but we’ve already seen several patients with heartworm here at Bloorcourt this year, so it’s important not to become complacent! With that in mind…let’s learn about heartworm! Want to learn more? Give us a call or visit www.bloorcourtvetclinic.com to book an appointment for your dog. If we’ve seen them within the past year and they are up to date on their exam and vaccines, their flea/tick/heartworm risk assessment appointment is FREE – you only pay for any lab tests and protection products you purchase, which are also available at discounted rates from our suppliers at this time of year!